Stocks of drug distributors McKesson , AmerisourceBergen and Cardinal Health rose 2 to 3 percent, while drugstore chains Walgreens Boots Alliance and CVS Health each advanced about 5 percent. 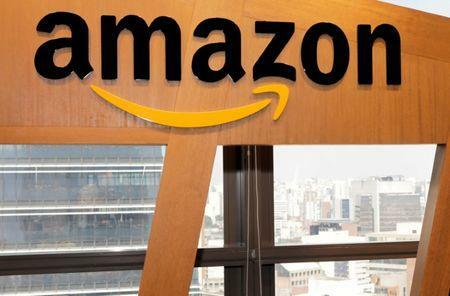 Healthcare investors expect Amazon will become a major force in the industry, fueled by recent media reports that the Seattle-based company was considering entering the pharmacy business. CNBC, which reported Amazon's plans on Monday, said the change comes partly because the e-commerce company had not been able to convince big hospitals to change their traditional purchasing process. "After months of hype and fear it appears now that Amazon's entry into the drug distribution space has been indefinitely delayed," said Evercore ISI analyst Ross Muken. Amazon is likely to remain focused on selling dental and medical products, he added. "Even with Amazon's large war-chest, it is still a difficult prospect given the dynamics of the whole pharmaceutical market," Morningstar analyst Vishnu Lekhraj said. In January, Amazon, Berkshire Hathaway Inc and JPMorgan Chase & Co unveiled plans to form a company to cut healthcare costs for hundreds of thousands of employees.